I came across this book while reading Bill Gates blog where he shares the books he has read. And then I ordered it and read it within 2 days. And I must say, this book left me in tears. Paul Kalanithi, the writer of the book was a neurosurgeon who was diagnosed with terminal cancer. I've always enjoyed stories from the medical field, about their training and about the massive work they have to do. But apart from his medical training and the intricacies of neurosurgery, what catches the readers eye is how Paul tries to find the answer to the question about life - What makes this life worth living? What's more is he brings to us the stories of him as a patient with indomitable strength, a loving husband, a book lover and a writer. 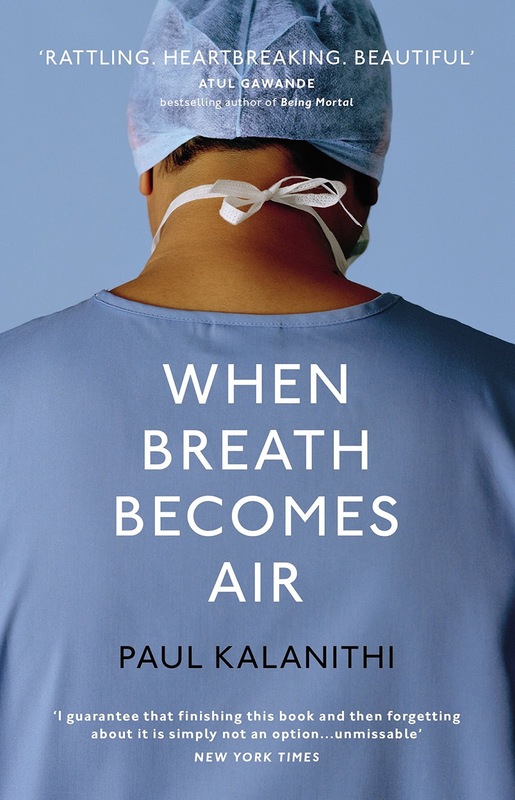 And then the reader is engulfed with emotions when Paul and his wife, Lucy, decide to have a child despite Kalanithi's diagnosis. It's impossible to read it without getting choked. Here's a conversation between Paul and Lucy. I would like to read this book again sometime.